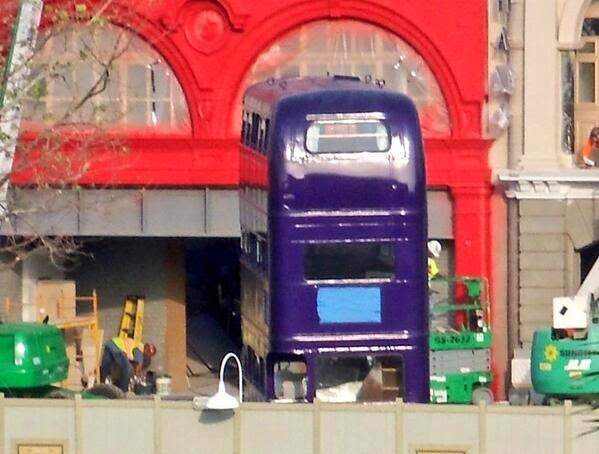 The Knight Bus was recently parked in the London embankment area of the Diagon Alley addition to USF. We now have confirmation from friend of Parkscope, Ken Storey (@klstorey), that guests will be able to see the shrunken heads as portrayed in Harry Potter and the Prisoner of Azkaban. The heads will make comments to visitors and interact with the bus conductor periodically. Guests will also be able to look inside the bus. The bus will be decorated with beds, suitcases and ornate chairs. We also received confirmation that guests will not be able to enter the bus. As always, check back often for information as we move closer to the opening of Diagon Alley. Follow us on Twitter @Parkscope, @ParkscopeJoe, @CaptMichael87, @ParkscopeNick, and @Parkscope_Sean.